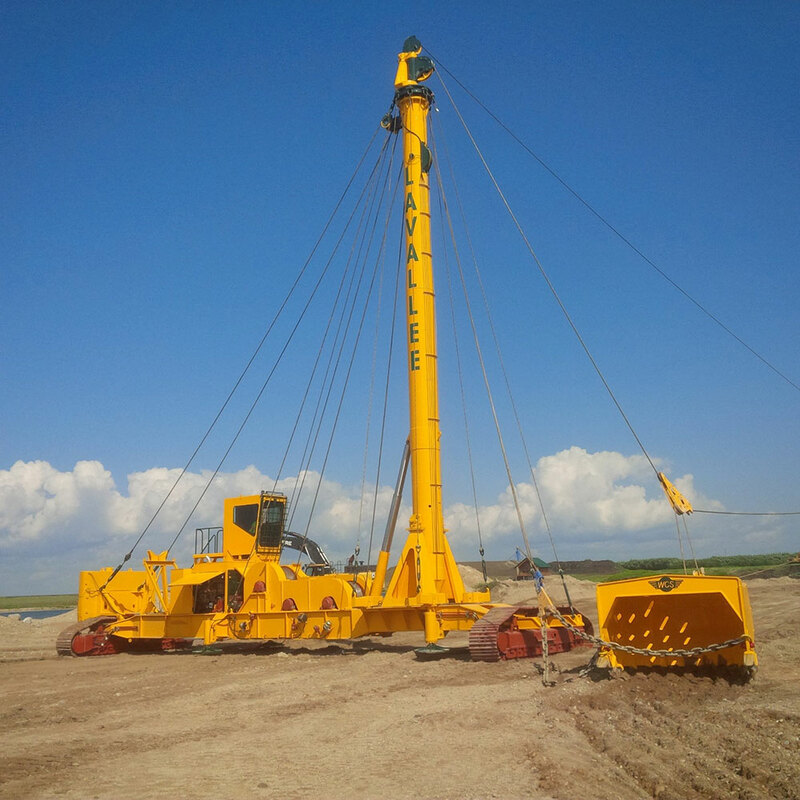 Free Standing, Deep Digging, Self-Supporting, Easy Maneuverability, Easy Operation, Active Skyline, Interlocking Drum Sets! 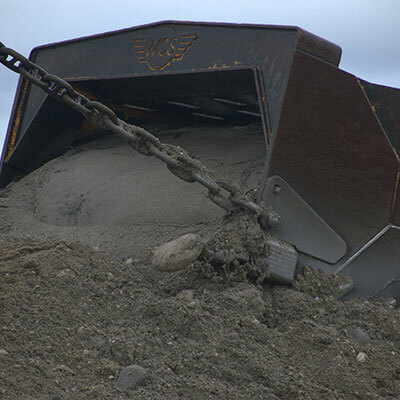 Your Sand & Gravel Specialists! 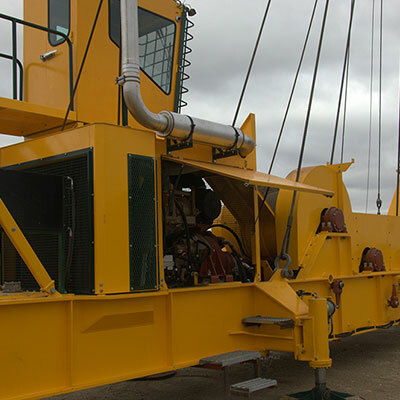 Washington Cable Systems has been producing quality machines for over fifteen years. 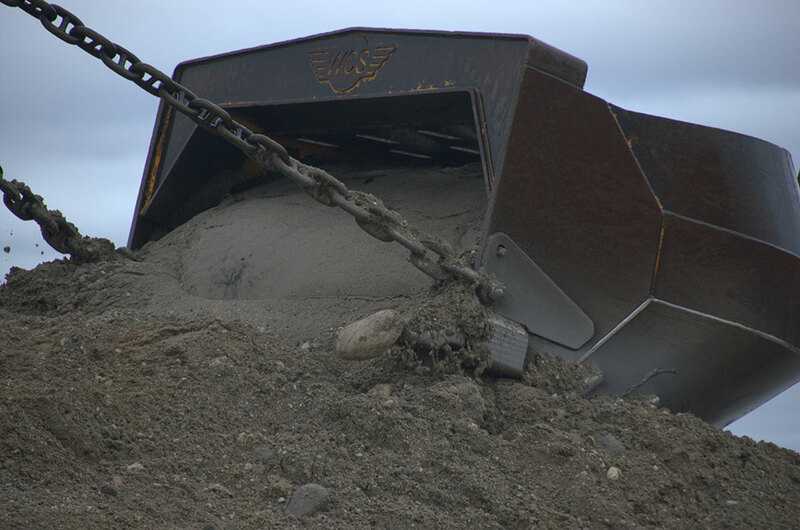 Our sand and gravel experts have a combined 60 plus years of experience in the industry. 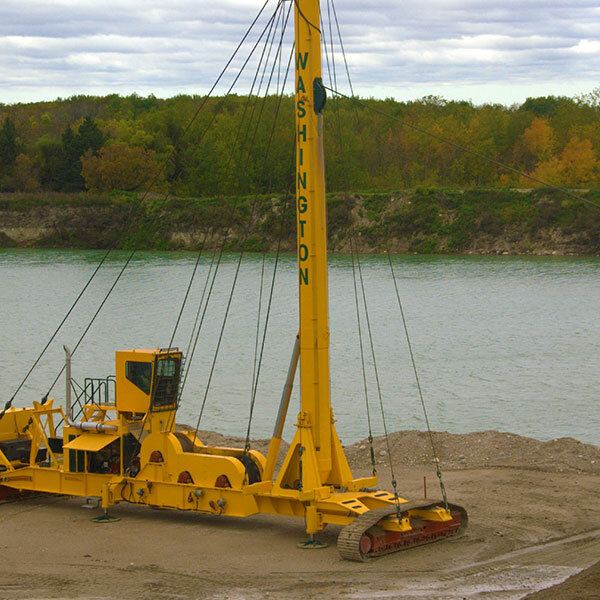 Washington Cable Systems manufactures five, eight and ten cubic yard custom skyline excavators. 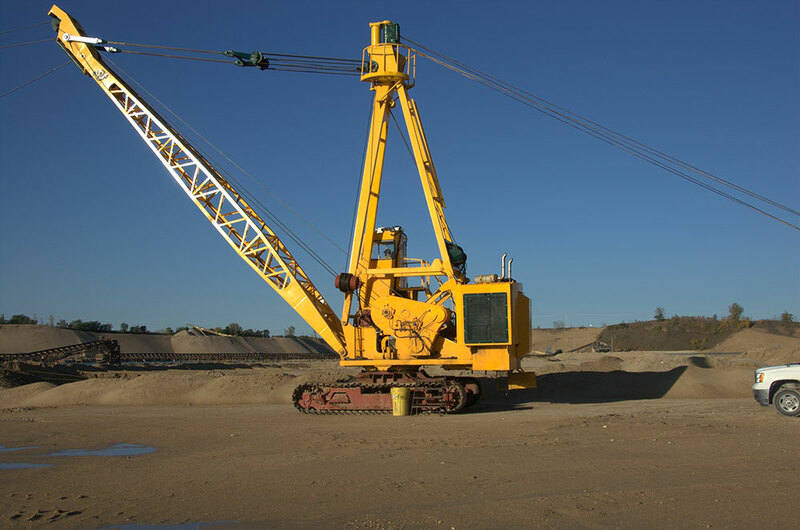 Our machines are well received by crews working in sand and gravel deposits that are below grade because of the production capability and ease of use. 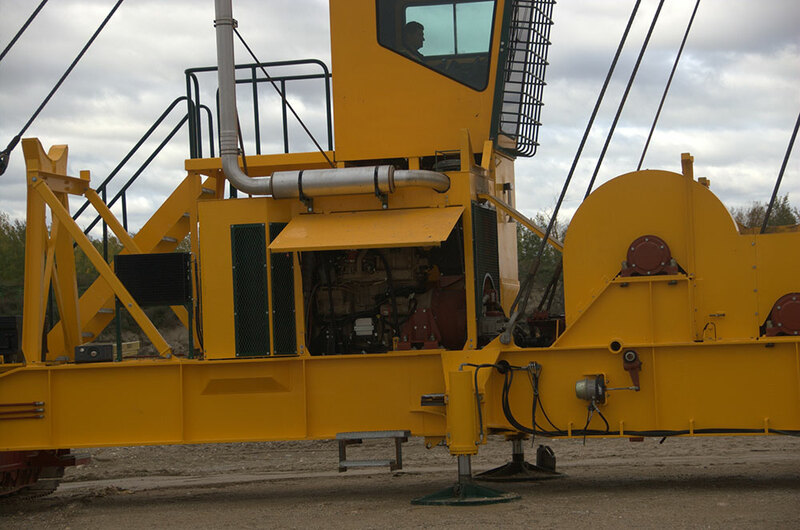 Our specialized and high production machines use mechanical interlock, providing increased, efficiency, speed and better fuel consumption. 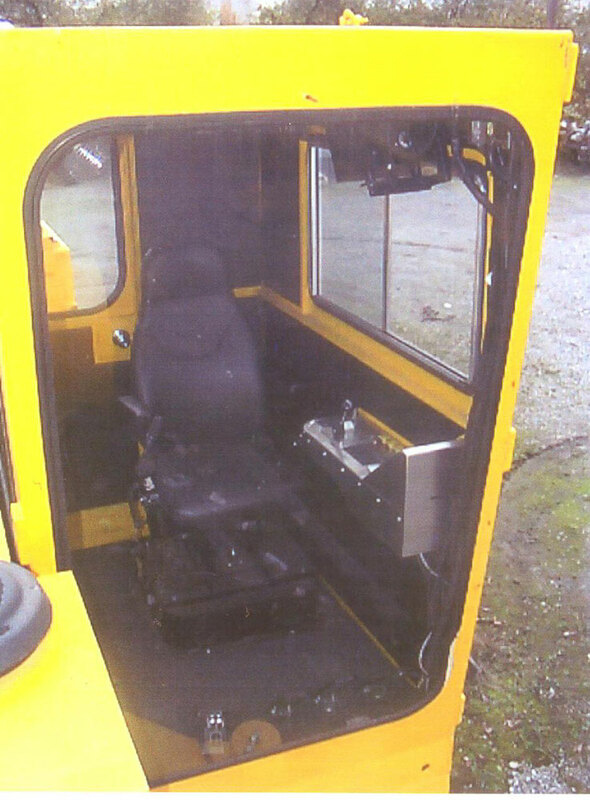 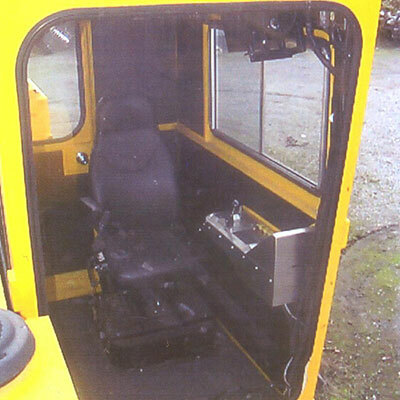 We re-manufacture these machines with electronic cabs, fully customized for a niche market. 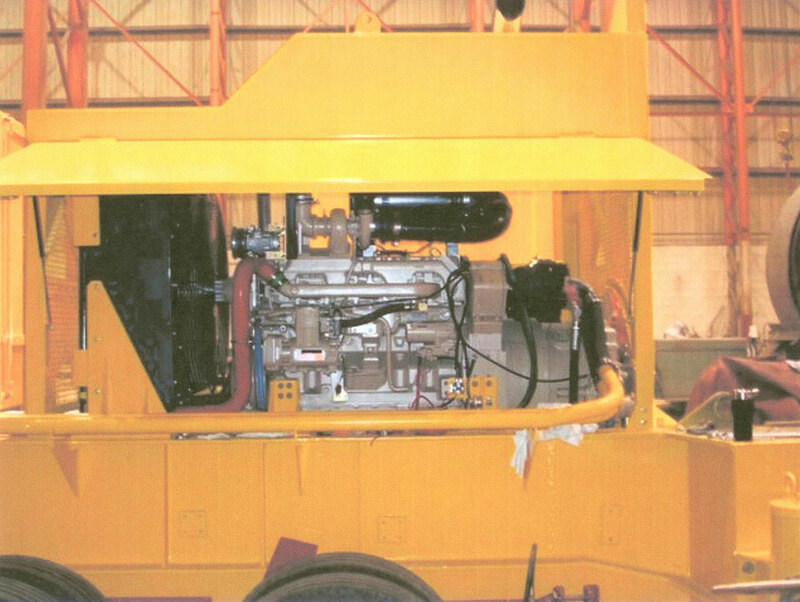 Our machines are all fitted with a Tier 3 John Deere engine. 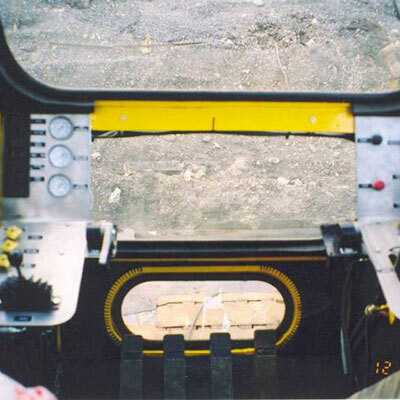 Every pit is different in terms of layout, materials and obstacles. 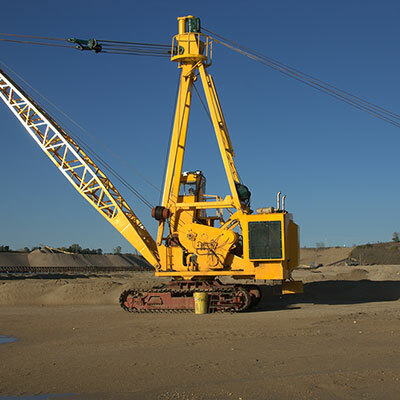 Our machines have the flexibility to adapt to the circumstances of the pit and makes our machines that much more unique in terms of adaptability. 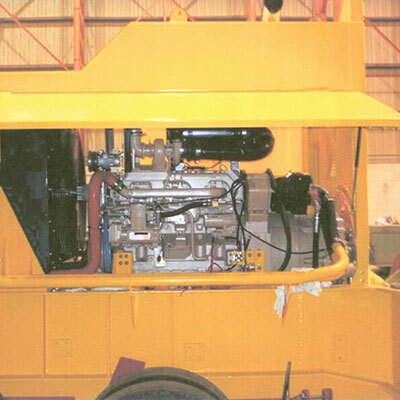 We provide a variety of services such as needs analysis, training and servicing. 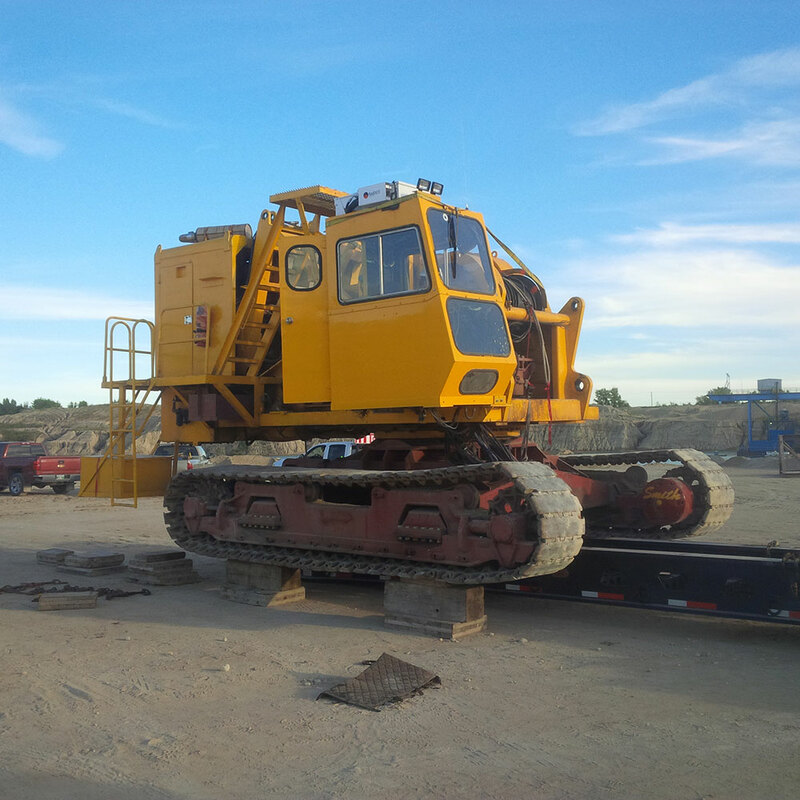 To better assist you in your decision process with the purchase one of our machines contact our in-house expert for a free consultation. 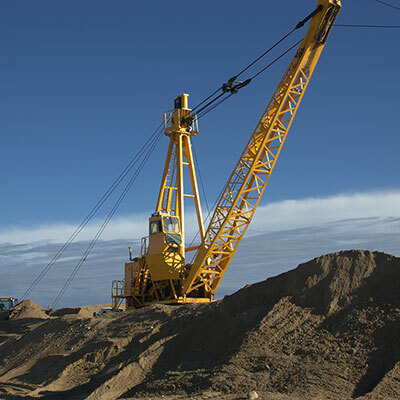 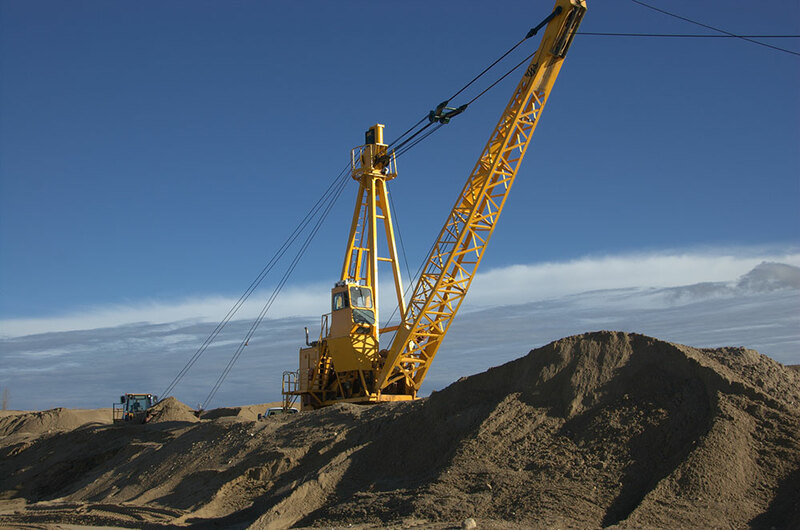 Our people have been in the Sand & Gravel business for over 40 years and utilize their vast knowledge and experience to assist our customers in achieving their goals of increased production and profits. 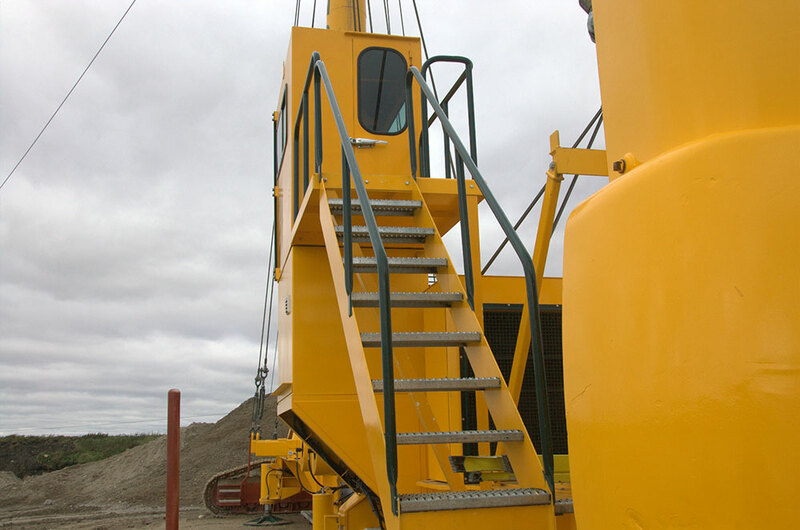 We take a hands-on approach to ensure each machine is built to the quality and standards our Customers expect. 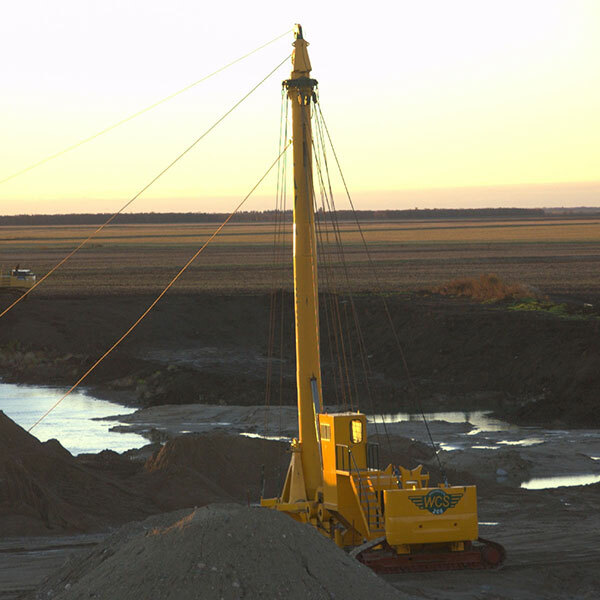 The Washington Model 108 gravel yarder offers strength, power and reliability plus speed and efficiency possible only with hydraulic interlocking design. 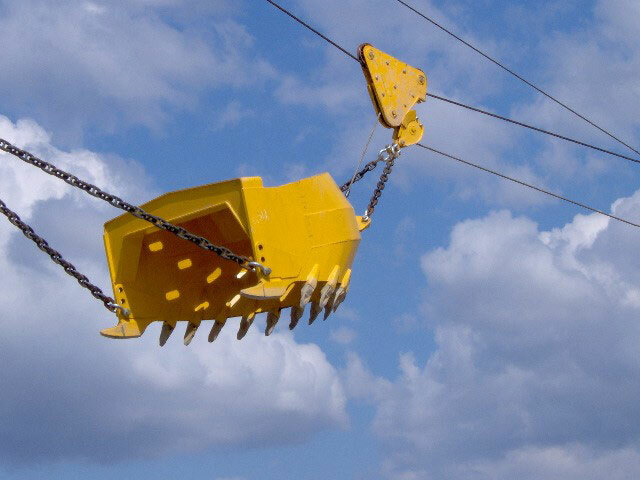 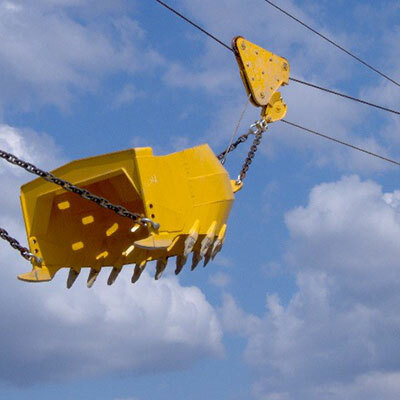 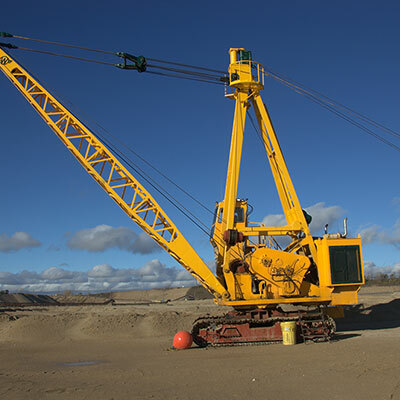 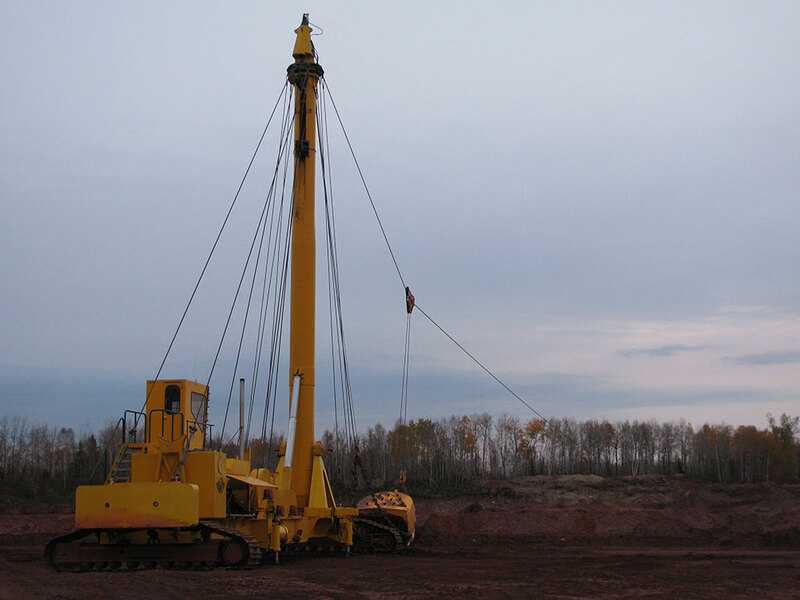 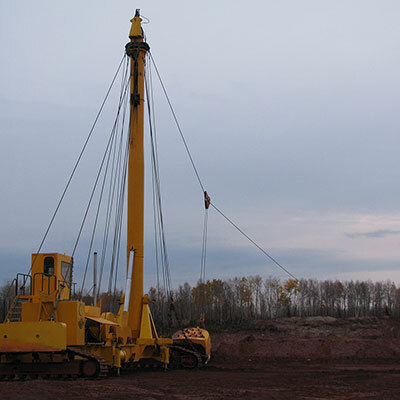 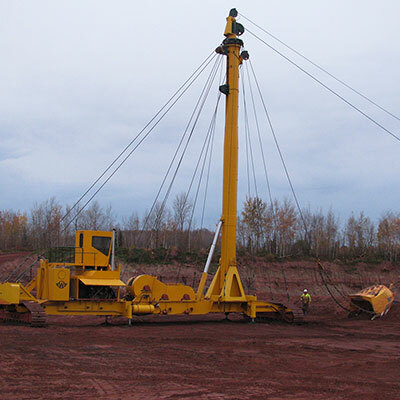 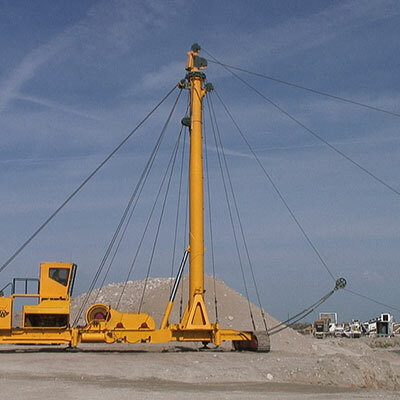 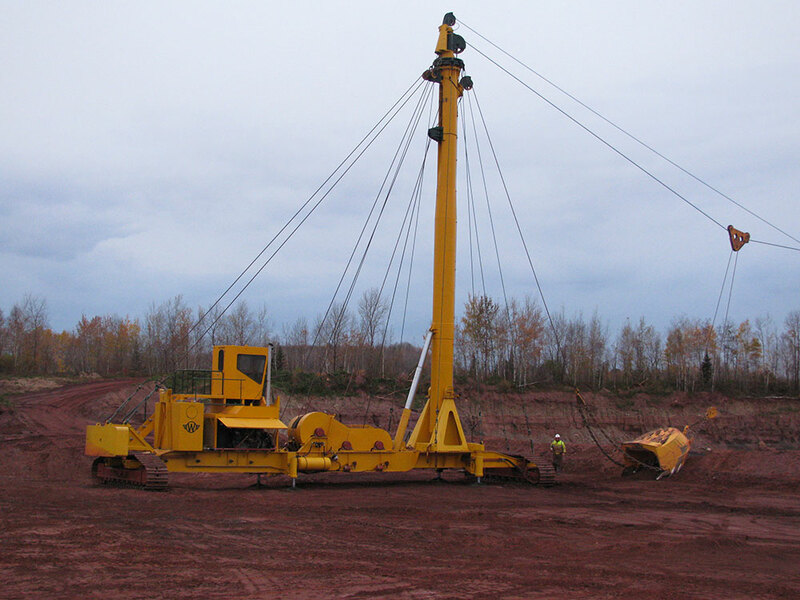 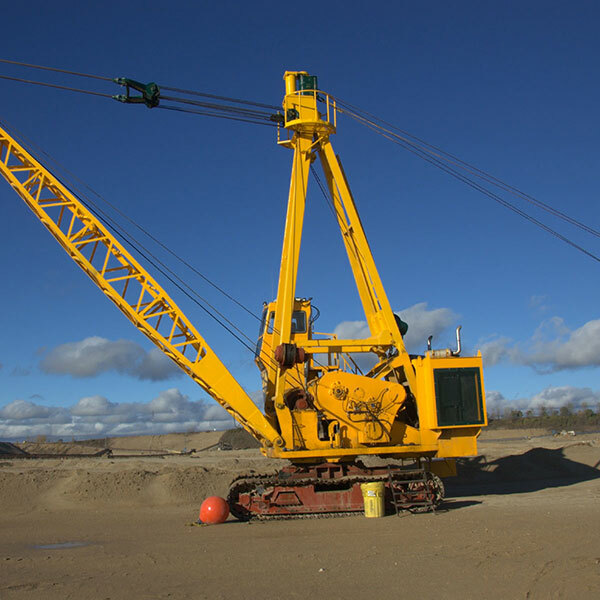 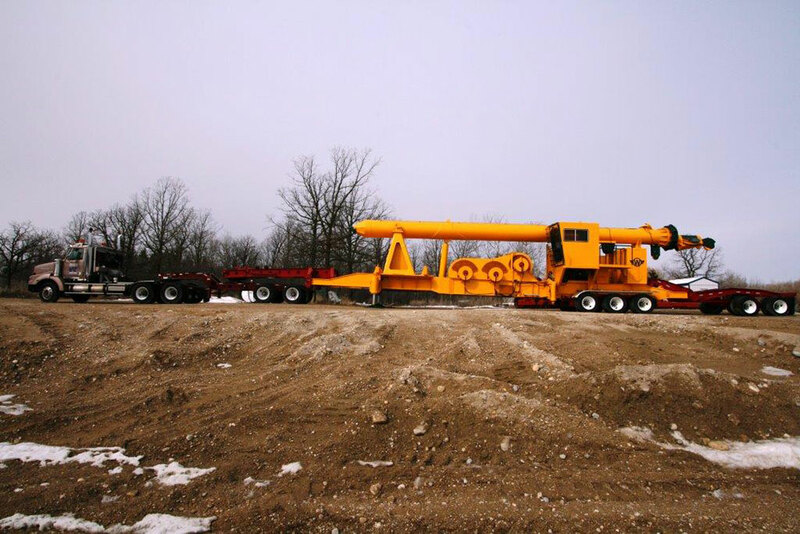 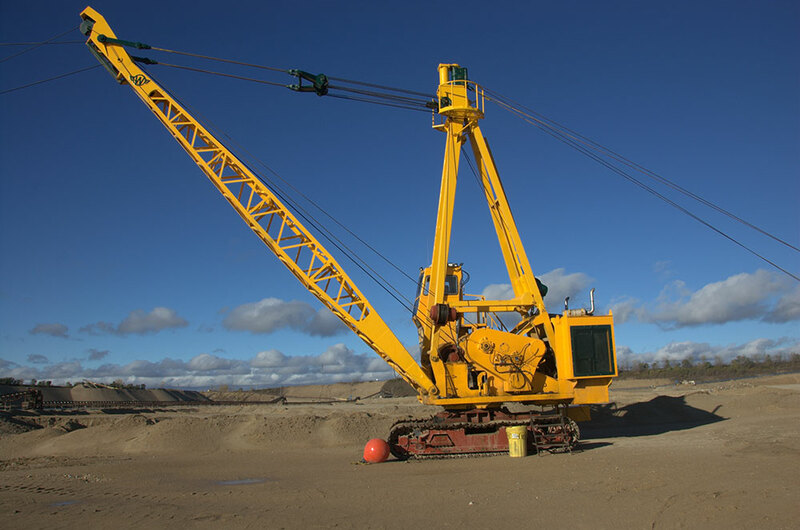 This model is a tower yarder with two skylines equipped with a cable raise on the boom and outfitted with a main drum, skyline drum and haulback drum. 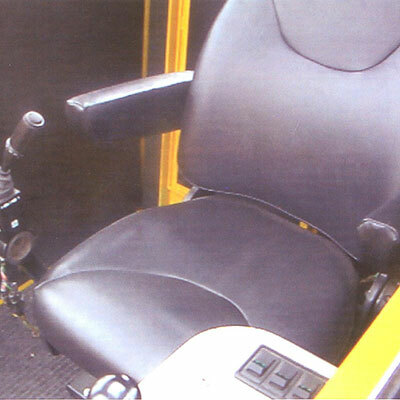 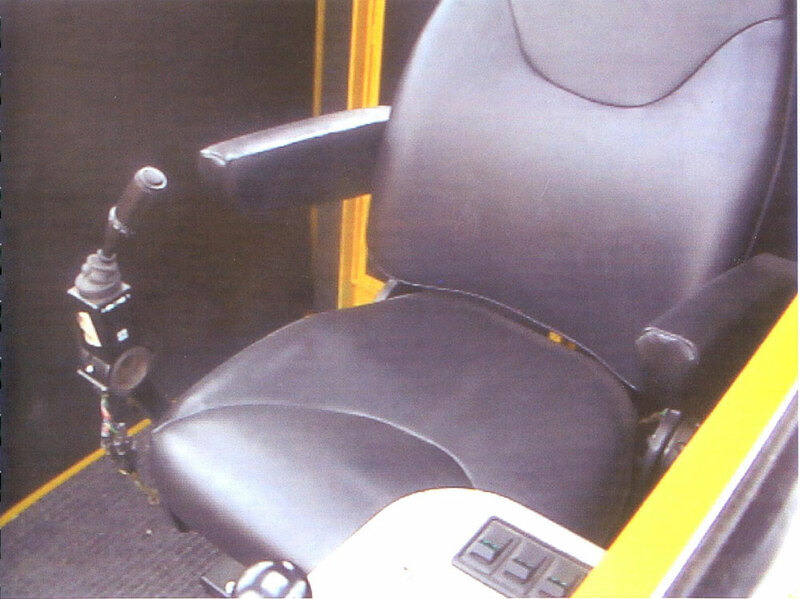 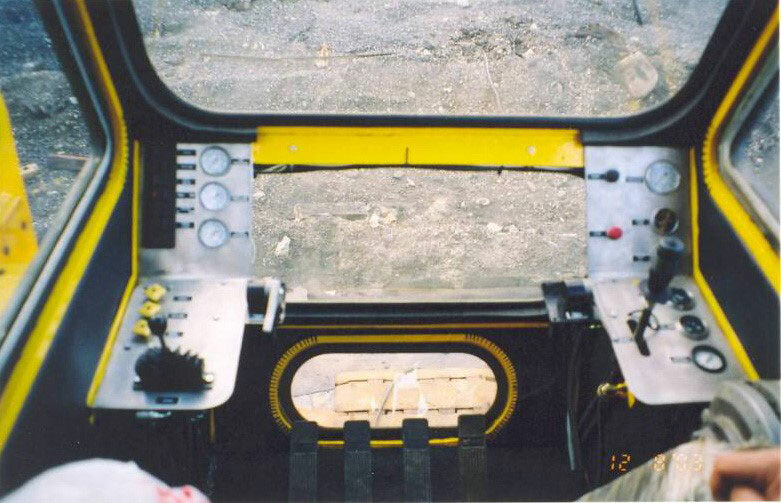 Haulback and Main Drums are fully interlocking allowing the operator to maintain perfect control of both main and haulback drums at full power in any of the 4 variable speeds, forward and reverse, without the use of brakes or power consuming slipping devices. 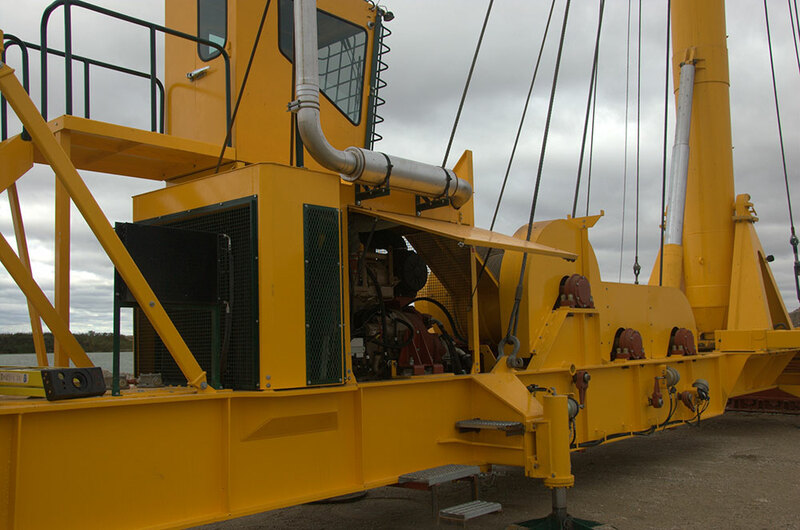 The 108 gravel yarder is powered by a Deutz 350 HP engine and Twin Disk Transmission with a Washington Undercarriage. 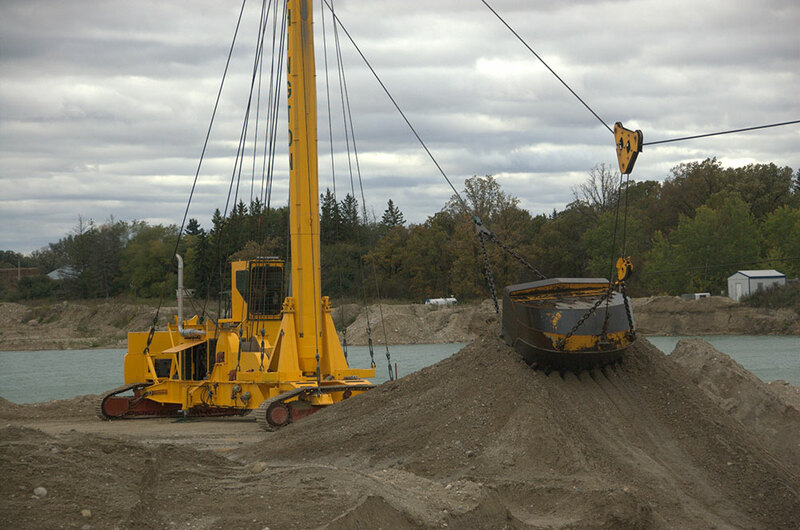 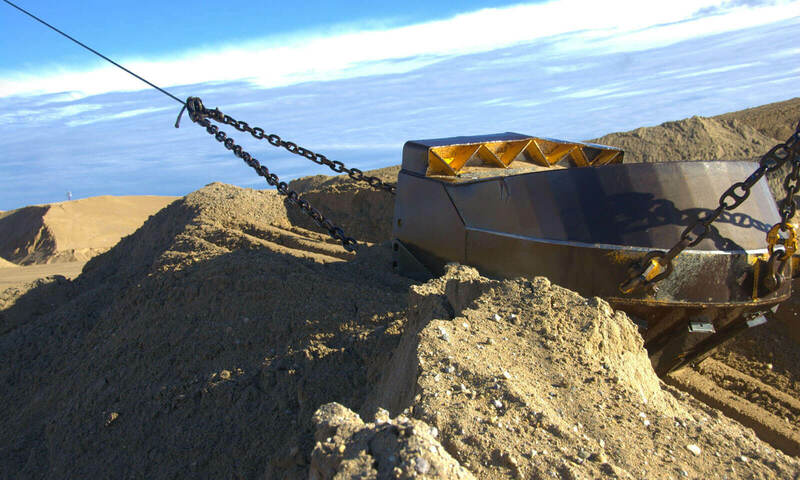 Re-designed, re-manufactured and re-purposed to dredge sand and gravel deposits that exist below water the 108 gravel yarder is capable of dredging gravel deposits over 100 feet deep and has a horizontal reach that can span distances over 1500 feet from the tower. 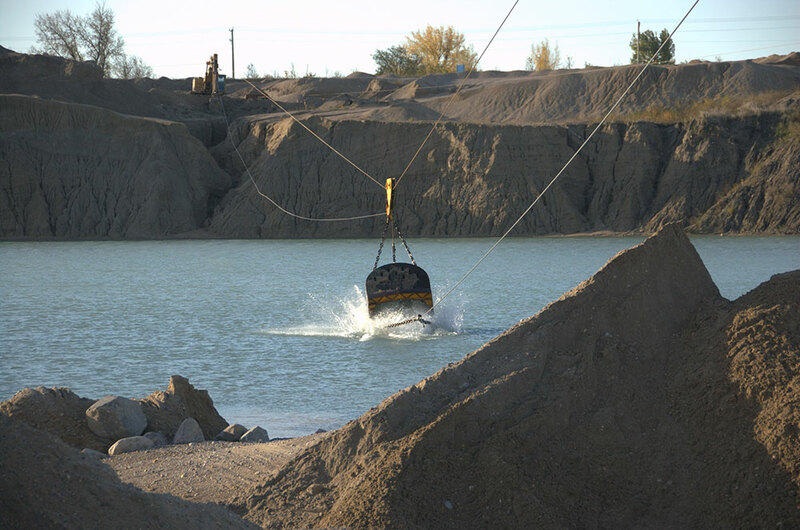 Depending on the properties of the materials being dredged, the 108model has a bucket capacity of 5 cubic yards. 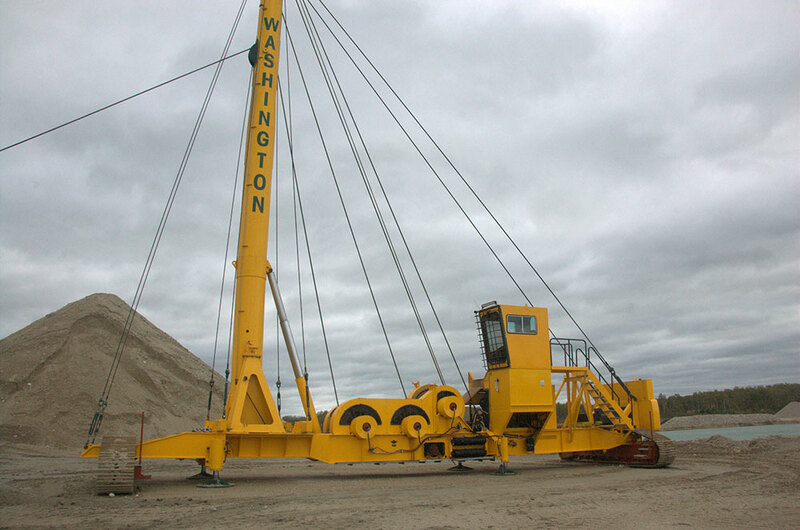 The Washington Model 158 gravel yarder offers strength, power and reliability plus speed and efficiency possible only with mechanical interlocking design. 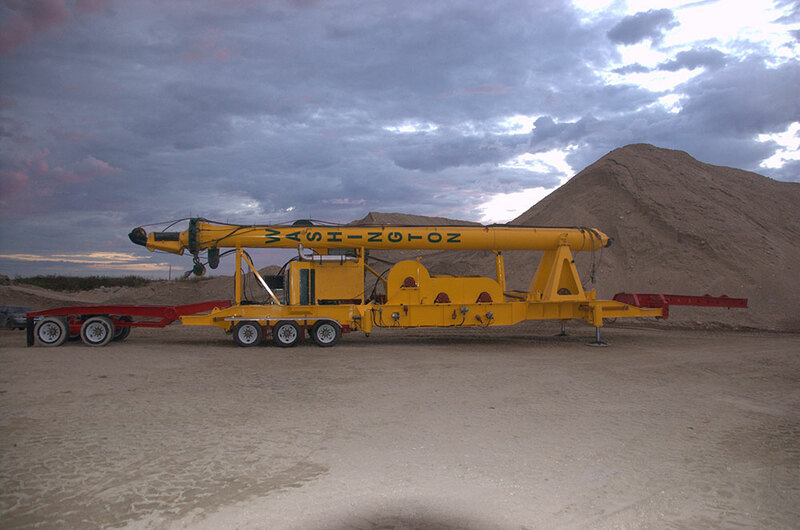 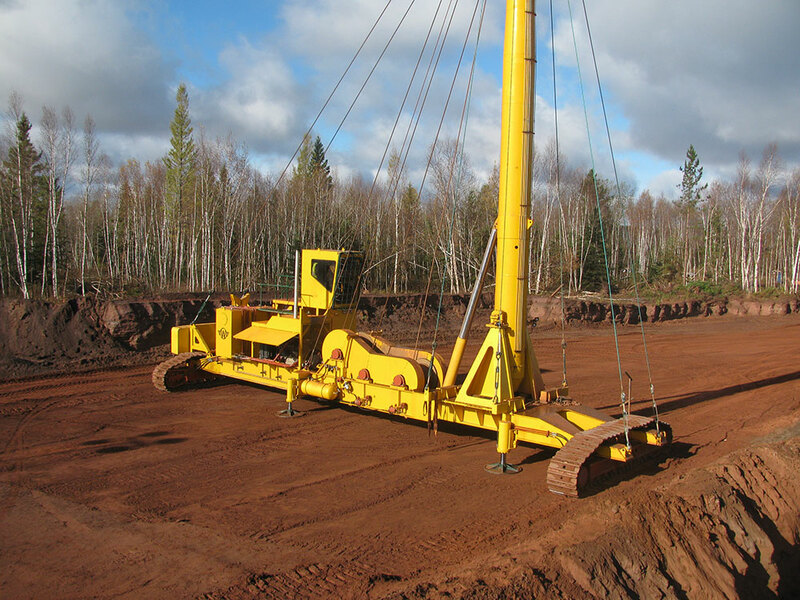 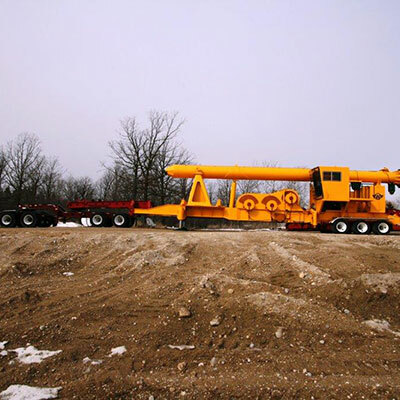 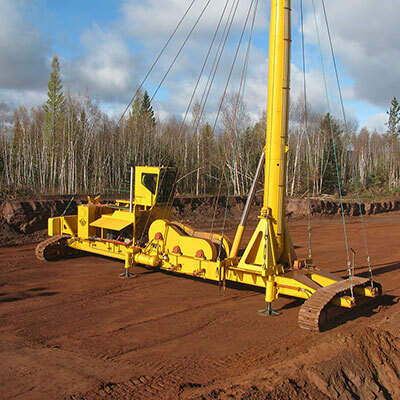 This model is a large free-standing, self supporting tower yarder equipped with a hydraulic raise on the tower and outfitted with a main drum, skyline drum and haulback drum. 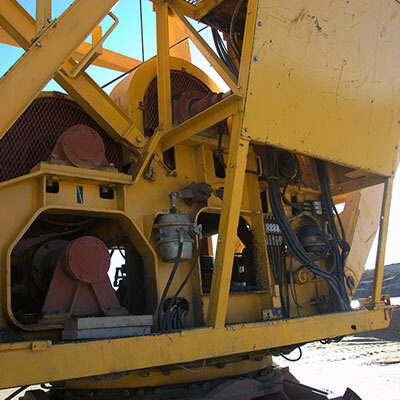 Haulback and Main Drums are fully mechanically interlocked allowing the operator to maintain perfect control of both main and haulback drums at full power in any of the 4 variable speeds, forward and reverse, with the use of slipping clutches. 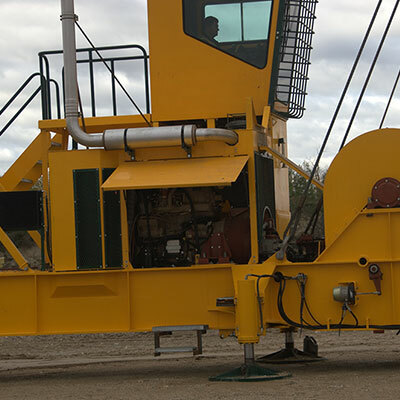 The 158 gravel yarder is powered by a John Deer Tier III 375 HP engine and a 4 speed, full reversing Clark 5000 Series Transmission and Clark 8000 Series Torque Converter. 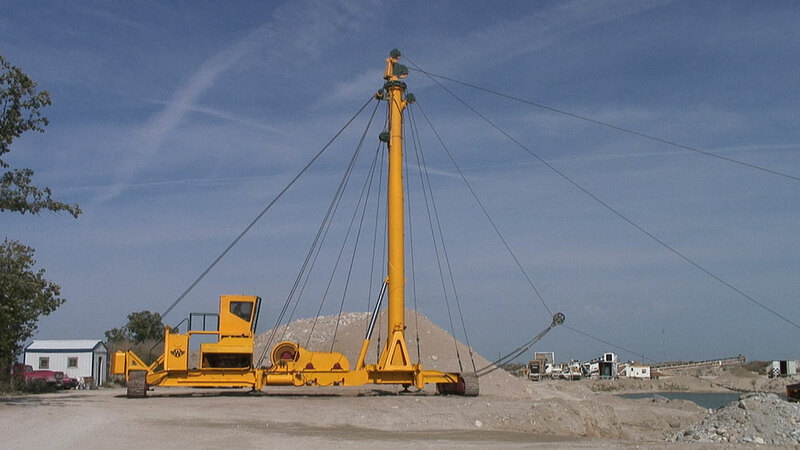 Re-designed, re-manufactured and re-purposed to dredge sand and gravel deposits that exist below water the 158 gravel yarder is capable of dredging gravel deposits over 100 feet deep and has a horizontal reach that can span distances over 1500 feet from the tower. 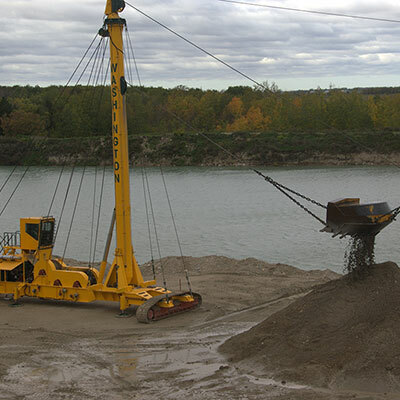 Depending on the properties of the materials being dredged, the 158 model has a bucket capacity of 8 cubic yards. 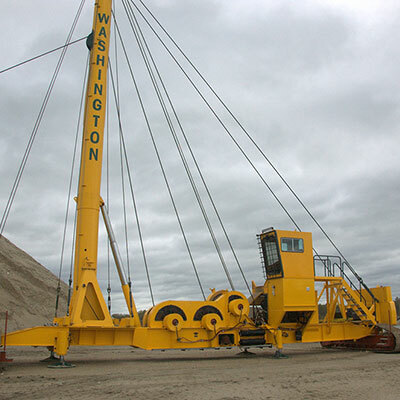 The Washington Model 208 gravel yarder offers strength, power and reliability plus speed and efficiency possible only with interlocking design. This model is a large free-standing, self supporting tower yarder equipped with a hydraulic raise on the tower and outfitted with a main drum, skyline drum and haulback drum. 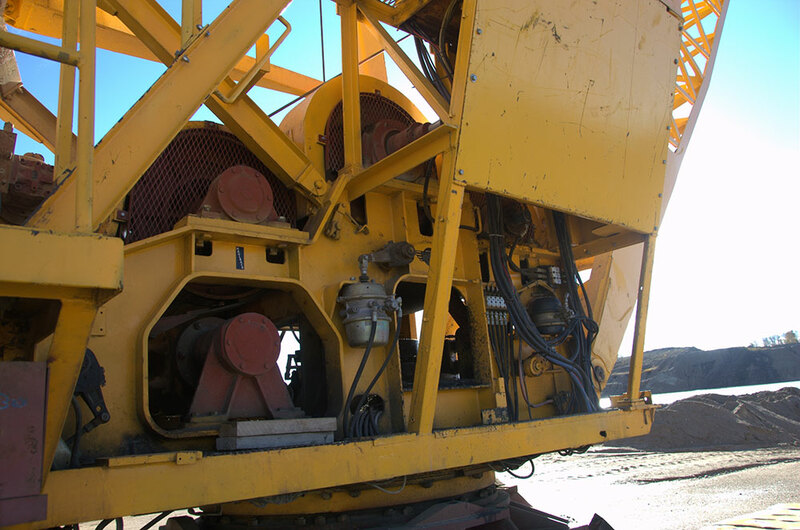 Haulback and Main Drums are fully mechanically interlocked allowing the operator to maintain perfect control of both main and haulback drums at full power in any of the 4 variable speeds, forward and reverse, with the use of slipping devices. 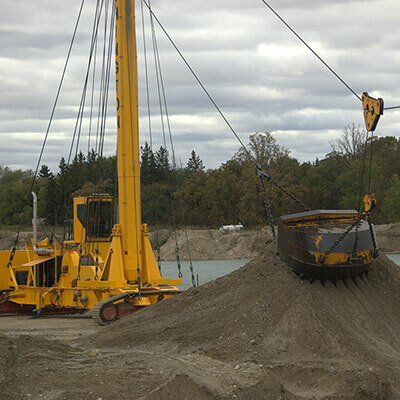 The 208 gravel yarder is powered by a John Deer Tier III 450 HP engine and a 4 speed, full reversing Clark 8000 Series Transmission and Clark 16000 Series Torque Converter. 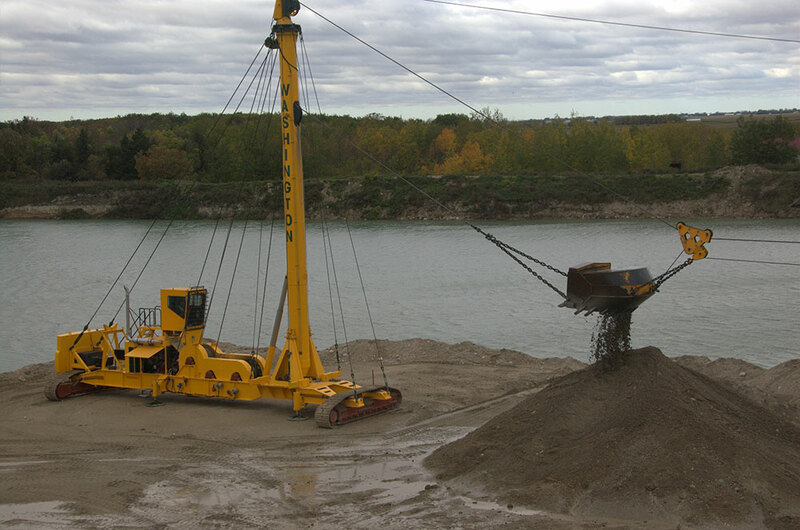 Re-designed, re-manufactured and re-purposed to dredge sand and gravel deposits that exist below water the 208 gravel yarder is capable of dredging gravel deposits over 100 feet deep and has a horizontal reach that can span distances over 1500 feet from the tower. 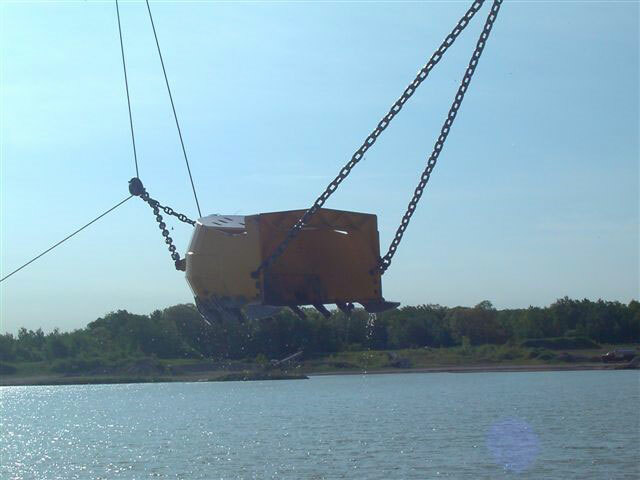 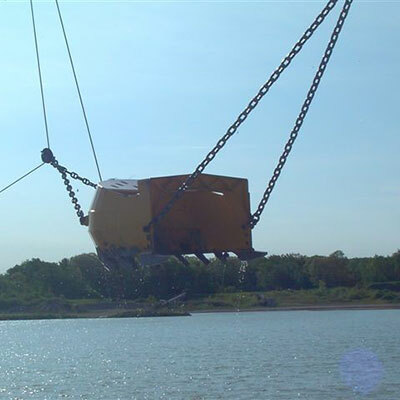 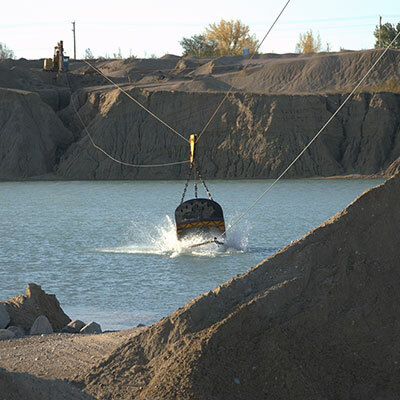 Depending on the properties of the materials being dredged, the 208 model has a bucket capacity of 10 cubic yards. 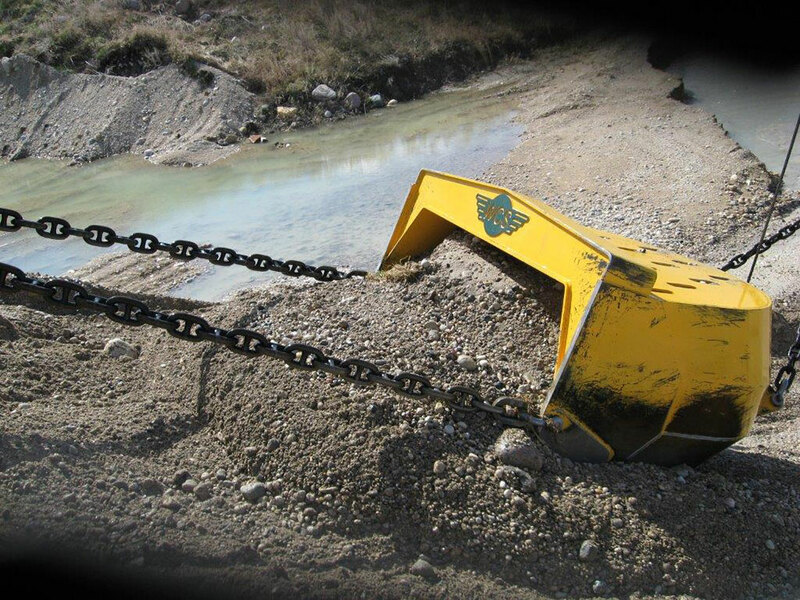 There is no other system on the market that is as easy to move around the pit. 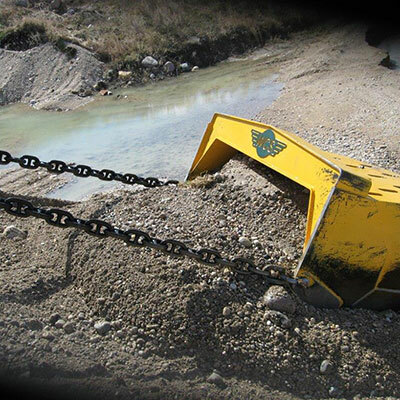 This increases our productivity. 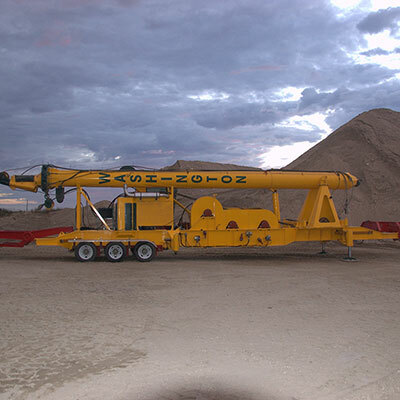 Our years of experience and knowledge in the industry can assist you in maximizing production, profits and reducing overall costs. 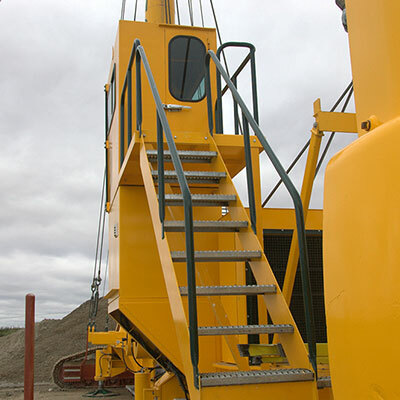 For questions or inquires please feel free to contact us. 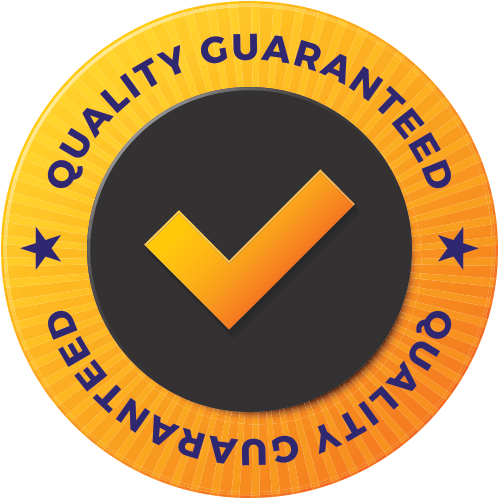 We will be more than happy to provide you with the information you require.